We offer shipping all over the United States from our website. Fast, friendly service shipped to your door. Call us about volume pricing, we would be glad to help. We install, sell, and service our products in homes and businesses in our local area everyday. We are located just south of Springfield, Missouri in Nixa. We cover an area of approximately 70 miles from our location in any direction for our local service. Call to get a free phone estimate on garage door service, garage door installation, and garage door openers, parts, and accessories. We also offer cash and carry for the products you need. Thank you for considering ABC Garage Door Service and Supplies for your garage door and opener needs. 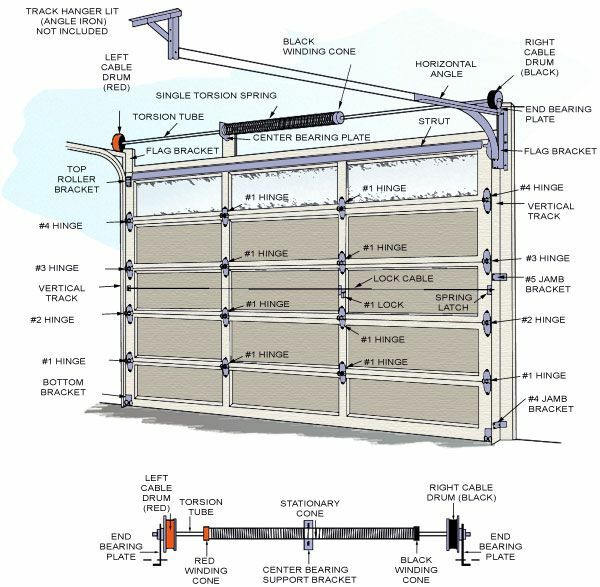 This diagram will help you identify your items for a garage door.